Winter In Dubai 2018: A Guide To A Perfect Vacation For You! A Guide For Spending Winter In Dubai This Year! 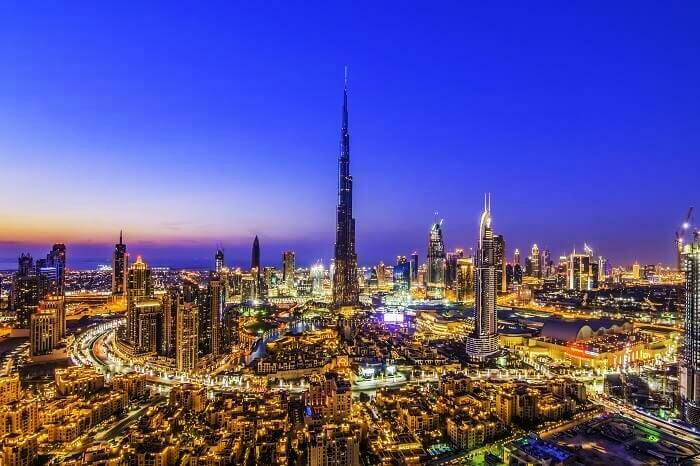 Dubai is one marvelous city which is synonymous with art, architecture, and modern development as it has evolved from a dry desert to an epitome of modern infrastructure. Due to its rapid development, Dubai has become a popular tourist destination. 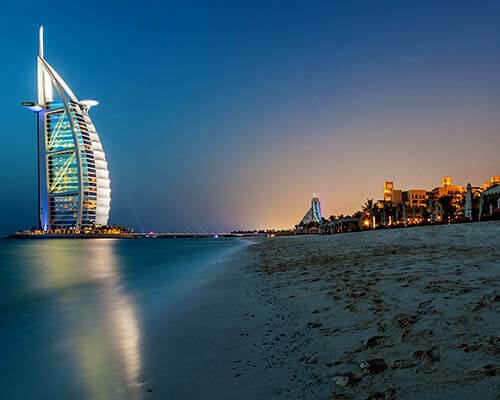 Housing the world’s tallest building, world’s most luxurious hotel, world’s largest mall, the most luxurious restaurants, and one of the best amusement parks in the world, Dubai has ticked all the boxes of being a perfect holiday destination. 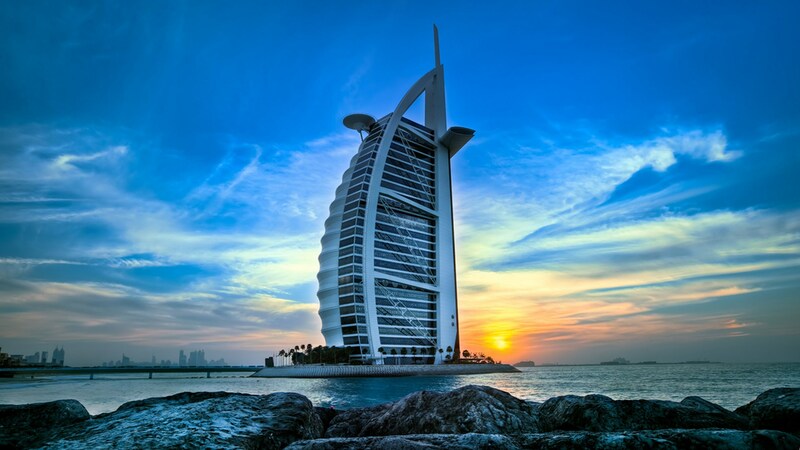 Most of the tourists visit Dubai in january because of the pleasant weather during this season. Therefore, we have constructed a travel guide to help you plan your next holiday during winter in Dubai in the best possible way. Is it a good time to visit Dubai in December? 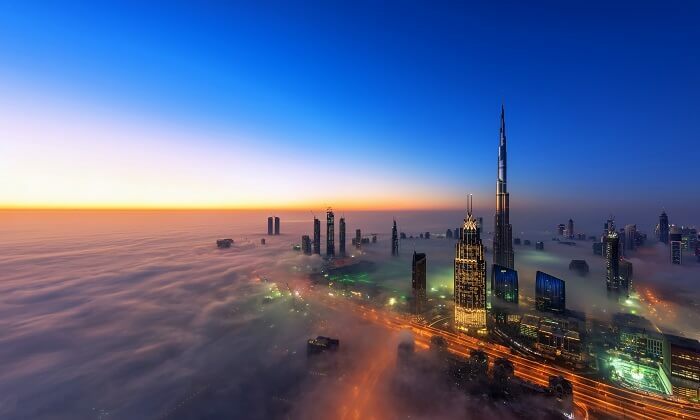 Owing to its location in the Northern Desert Belt, Dubai experiences a tropical desert like climate. Summers are extremely hot and humid. Therefore, December to March, is the best time to visit Dubai. This season comprises of winter in Dubai. 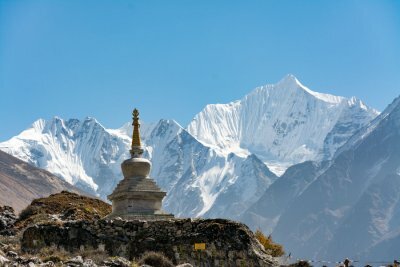 It is also the peak tourist season. It is most suitable time to visit Dubai in December, as the weather is pleasant, and apt for sightseeing, and indulging in outdoor activities. 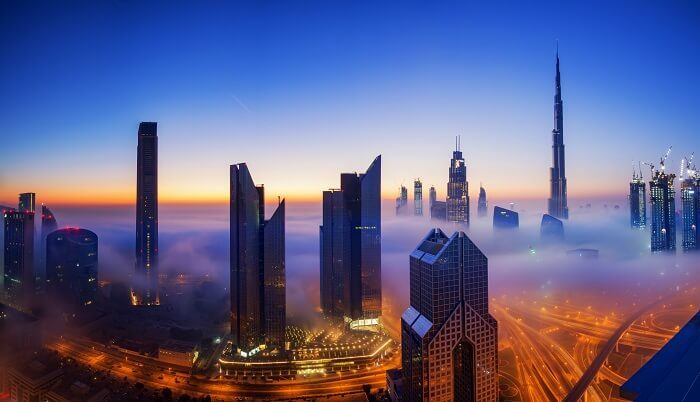 Dubai temperature in December ranges from 26°C to 14°C. 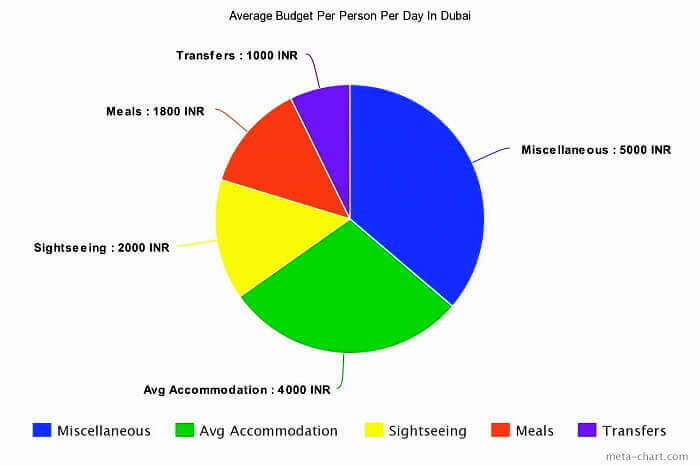 What is the average budget of a vacation during winter in Dubai? While planning a winter vacation in Dubai, the necessities like that of average accommodation, meals, local transfers, sightseeing, and miscellaneous expenses have been taken into consideration and to check Dubai weather in December. 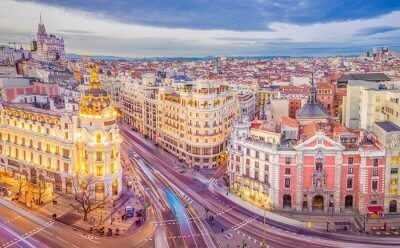 Flight rates have been excluded as it varies from traveler to traveler and on the basis of destination origin. An average accommodation rate of budgeted yet lavish stays has been included in the average budget per day per person to arrive at an estimated budget. 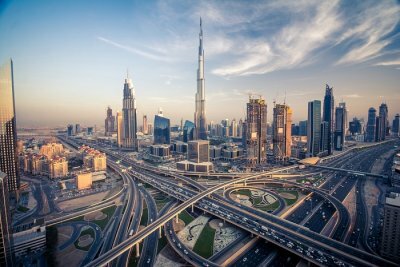 What are the best places to visit during winter in Dubai? Standing tall at a height of 2,722 feet, this megatall skyscraper is the tallest building in the world. Any trip to Dubai is incomplete without visiting this man-made engineering masterpiece. Its observation deck provides majestic bird eye views of the city with powdery desert on one side and and an ultramarine ocean on the other and is great option for Dubai winter holidays. Timings: 8:30 a.m. to 1 a.m.
Palm Jumeirah is a tree-shaped artificial archipelago, and the smallest of the three planned islands in Dubai. This island is known for ornate hotels, posh apartment towers, and upscale restaurants. 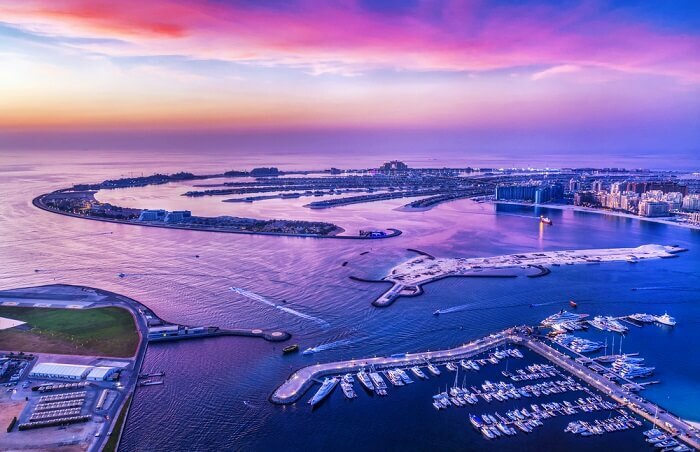 Include a visit to Palm Jumeirah in your, ‘winter in Dubai’, itinerary to indulge in various outdoor activities, and adore the fascinating sunset view. Also, peep into the vibrant nightlife of the island when the beach clubs with spas and infinity pools turn into exuberant nightclubs with a lively Dj nights. 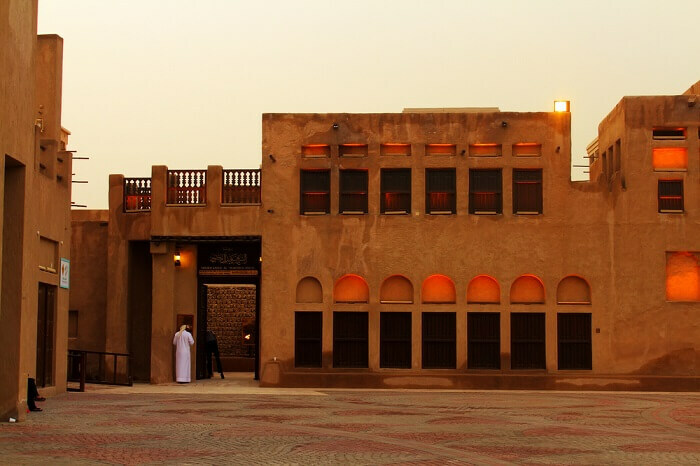 Sheikh Saeed Al Maktoum house is a historical building as it once served as a residence of former ruler of Dubai, Saeed bin Maktoum Al Maktoum. This building now houses the famous Dubai Museum of Historical Photographs and Documents which allows travelers to peep into Dubai’s history. This quintessence of Arabic architecture is one of the best places to visit in Dubai in December. 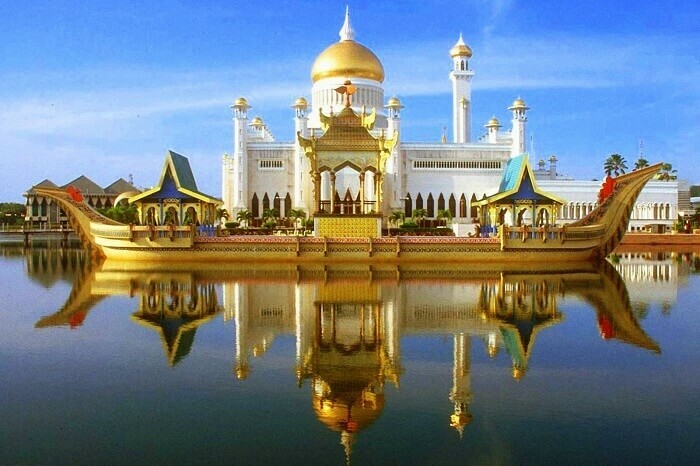 Another marvelous place worth exploring while visiting Dubai in December is the Jumeirah Mosque. It is the most photographed mosque in all of Dubai in January specially, and another unique feature of this place is that it is the only mosque in Dubai that welcomes non-muslim guests. Its, “Open doors. 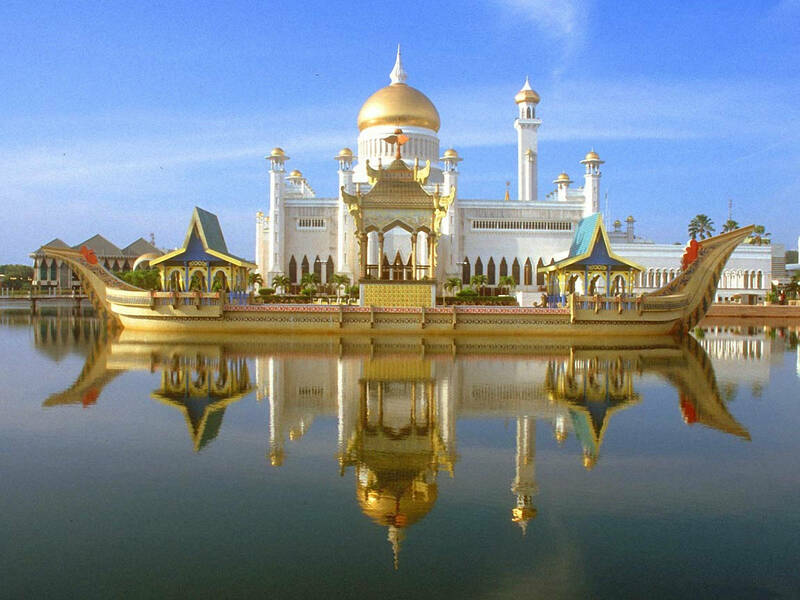 Open minds”., programme allows travelers to gain insight into the cultural and religious beliefs of the people of Dubai. This natural saltwater creek is also one of the most remarkable places to visit in Dubai in December. Dubai Creek passes through the centre of the city and divides it into two halves-Bur Dubai in south and Deira in north. Travelers can enjoy a boat or an abra ride with their families, friends, or partners to travel from one part of the city to the other through this shimmering creek. What are the best things to do during winter in Dubai? If the attractions wwere not enough for you, here are some of the major things one must try to do during winter in Delhi. One of the best things to do in Dubai in winter is to board an Arba and sail over the Burj lake to witness the second largest choreographed fountain in the world. Dubai Fountain is one of the most alluring tourist attractions in Dubai with a range of 900 feet, and capable of spraying over 22,000 gallons of water at any given moment. With over 6,600 lights and 50 coloured projectors, the fountain plays a variety of Arabic and world music. Timings: 5:45 p.m. to 11:30 p.m.
Can you even imagine a skiing arena in a desert area? Dubai has made it possible with a 22,500 meters of ski area which offers year-round skiing and snowboarding opportunities. 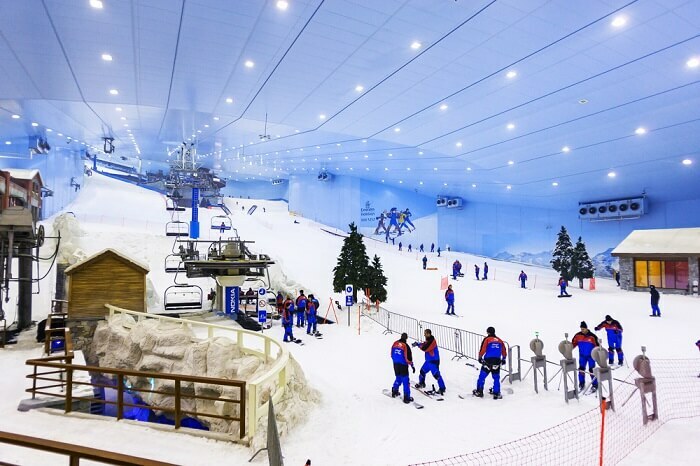 It is the first ever indoor ski resort in Middle East built inside the Mall of Emirates. Grab your tickets and indulge in some of the most thrilling winter activities in Dubai offered at Ski Dubai. 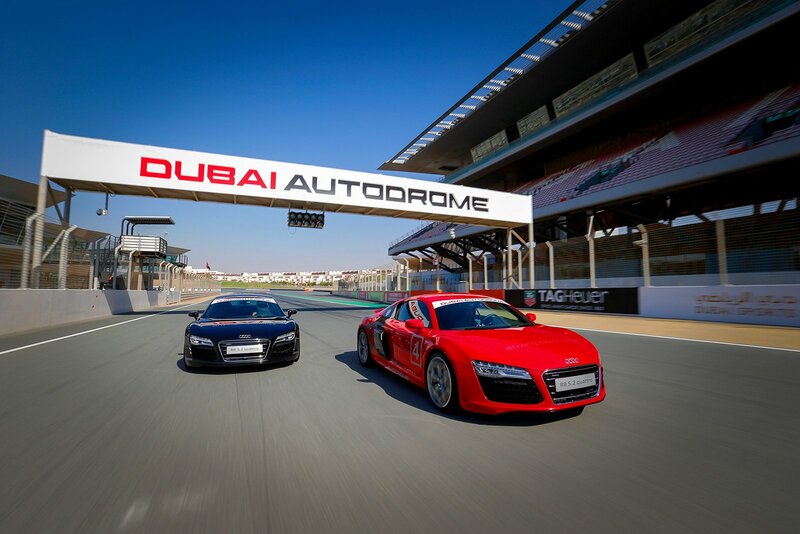 Brace yourselves as your trip to Dubai beckons you for a venturesome sporting activity at Dubai Autodrome. If you really want your winter in Dubai to be filled adventure, then sit behind the wheels of your favourite car to enjoy the three most exciting laps of your life and grasp the F1 feel in the heart of UAE motorsport arena. Dubai Mall is considered as a synonym of shopping as it hosts one of the most extravagant shopping festivals, i.e., the Dubai shopping festival. Make your winter in Dubai even more special by shopping to your heart’s content at the largest mall of the world. 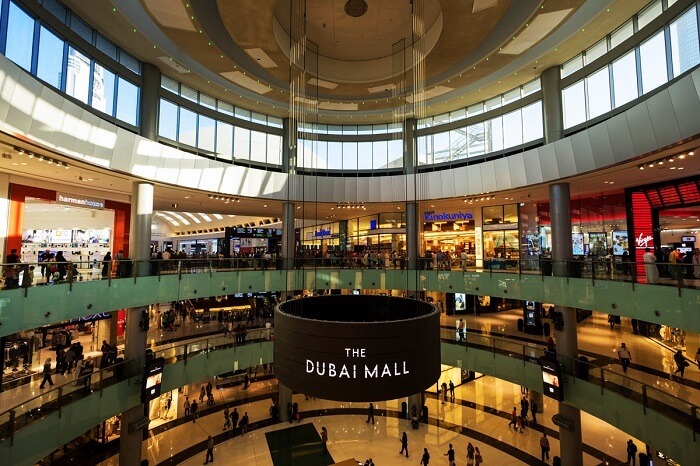 This mall also allows its customers to indulge in a fine dining experience at some of the finest restaurants, stay in luxurious rooms of 5-star hotels, and witness the wonders of nature at the Dubai Aquarium & Underwater Zoo. 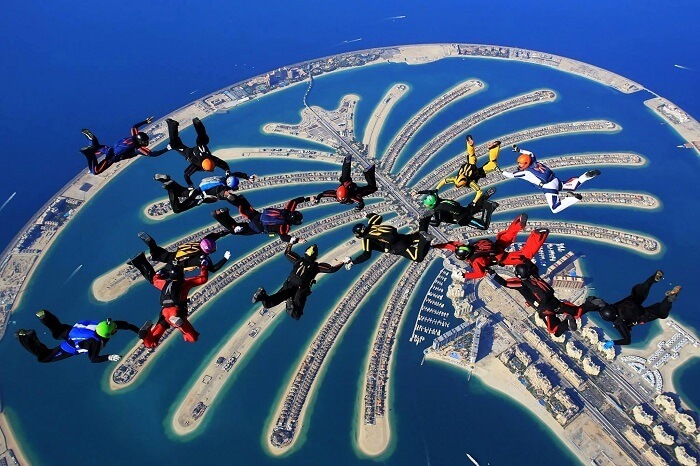 Quench your thirst for adventure during the Dubai winter season by indulging in the crazy activity of sky diving. Feel the thrill of a free fall by throwing yourself out from the sky, and leave the rest on your instructor who will make sure that you land alive and crave for another daring dive. What are the must experiences during winter in Dubai? 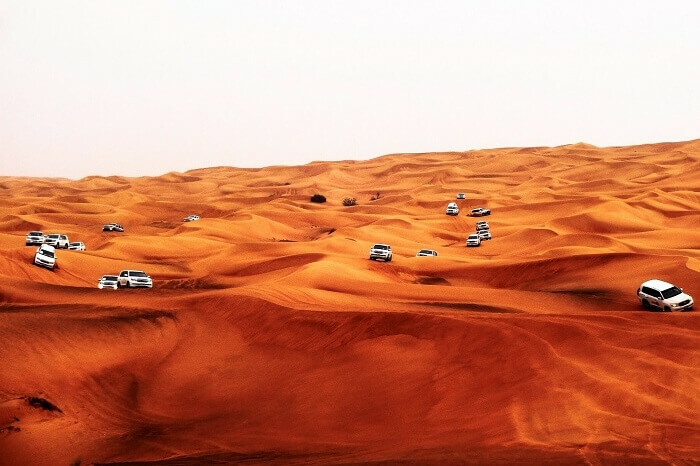 Desert Safari is one of the most important things to do in Dubai in winter without which your trip to Dubai is incomplete. Live an Emirati lifestyle for a day which starts with desert safari, dune bashing, quad biking, sand skiing, camel ride, sunset photography, and ends with a delectable Barbeque dinner along with a shisha session and drinks, and a belly dance show for your entertainment in winter in Dubai 2018. One of the most arousing part of visiting Dubai in December is the winter festival. 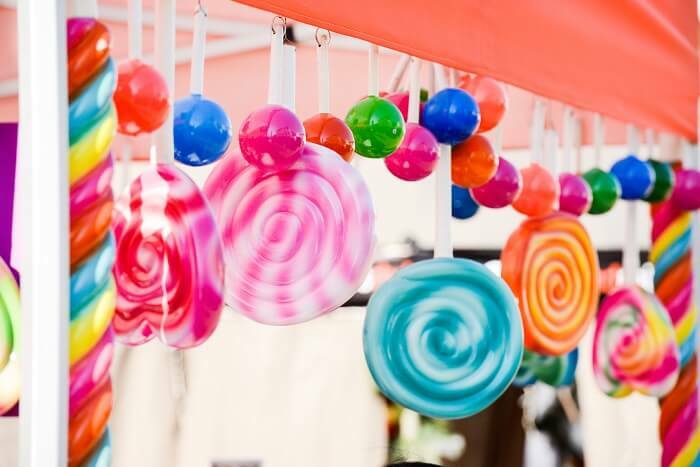 Running into its 6th year now, this festival is the largest weekend of festive fun in UAE. Plan your trip to Dubai in December to witness this fun filled event that includes activities for children, various talent competitions, and also marks the beginning of celebrations for Christmas in Dubai. This event showcases products from industries like Printing & Publishing, Media & Advertising, Business Services, Food & Beverage industries. 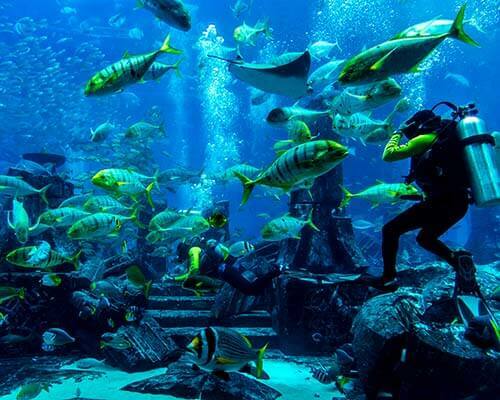 Your winter in Dubai will surely be incomplete without a visit to the this 141 acre waterscape in Atlantis, the Palm. 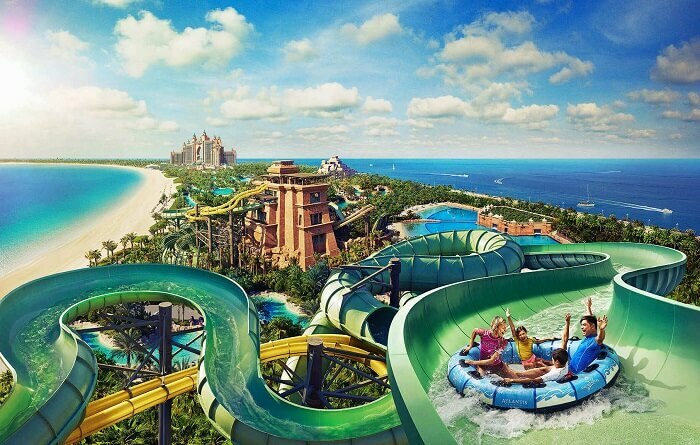 Featuring some of the best water slides such as the Aquaconda: world’s longest water slide, beach games, underwater diving amidst dolphins and other types of fishes, restaurants, and a huge white sand beach to relax, it is one of the best waterparks in the world. Timings: 10 a.m. to 5:30 p.m. Which are the best hotels to stay in Dubai? Being crowned as the world’s only 7-star hotel, Burj Al Arab, is not only the most luxurious hotel in the world but also one of the most expensive one. This sail-shaped hotel does not only charge exorbitantly but also provides equivalent amount of services. 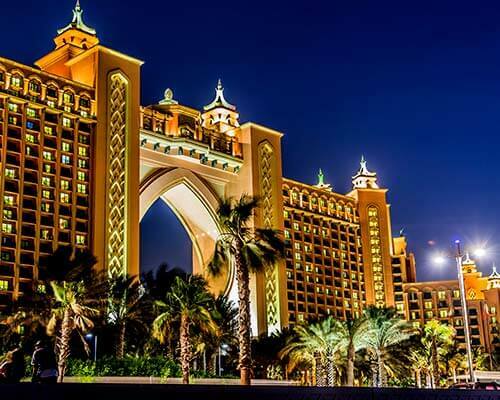 From ultra-luxurious suites providing panoramic views of the city or the sea, to private beach access, personal butlers, chauffeur-driven Rolls Royce, and some of the world’s best dining venues, this hotel has everything to make your winter in Dubai an indelible one. Suggested Read: Dubai’s First Underwater Resort: A Floating Venice In The Sea That Will Blow Your Mind! Spend your winter in Dubai at one of the best 4 star hotels in Dubai, Carlton Downtown. 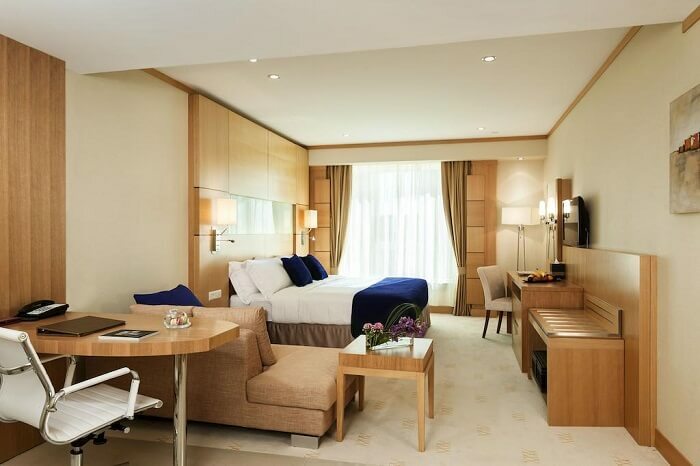 Situated in the heart of Deira, it is a mid range hotel offering comfortable rooms with elegant decors overlooking the the Dubai Creek, an indoor pool, and lively restaurants serving palatable cuisines, and shisha. 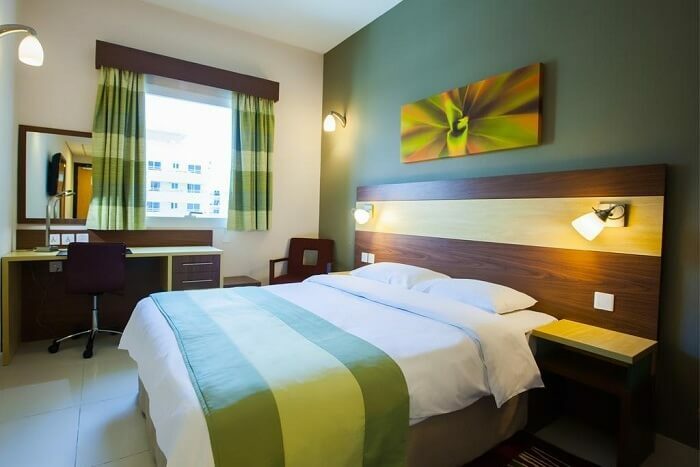 Considered as the best buy for travelers looking for comfort at budget prices, Citymax Hotel treats comfort as a necessity and provides best accommodation at economical prices. 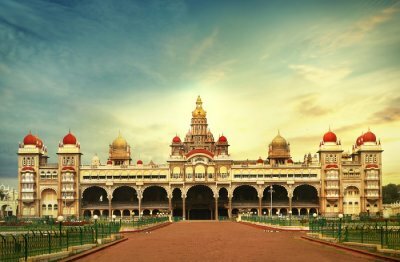 This 3 star hotel offers cozy rooms with contemporary interiors along with services like fine dining restaurants, well equipped gymnasium, and a rooftop pool. 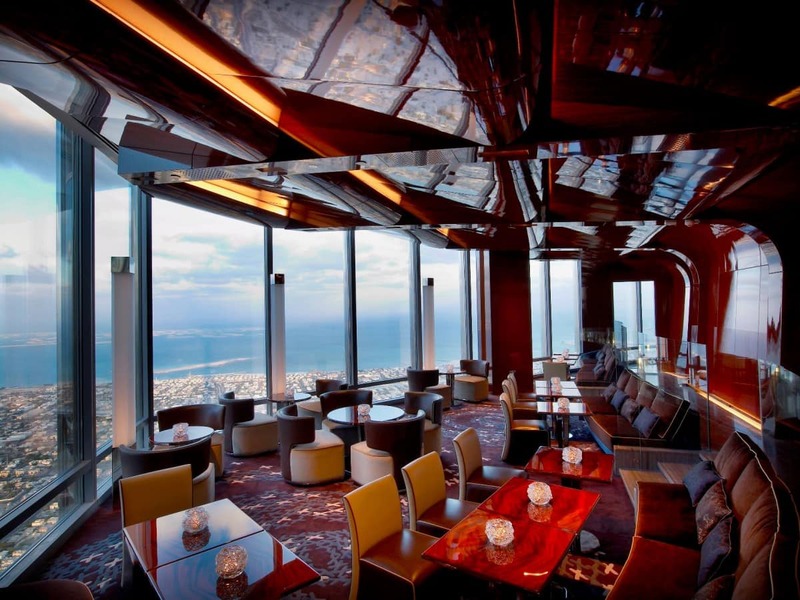 Imagine dining at the 122nd floor of the world’s tallest building. 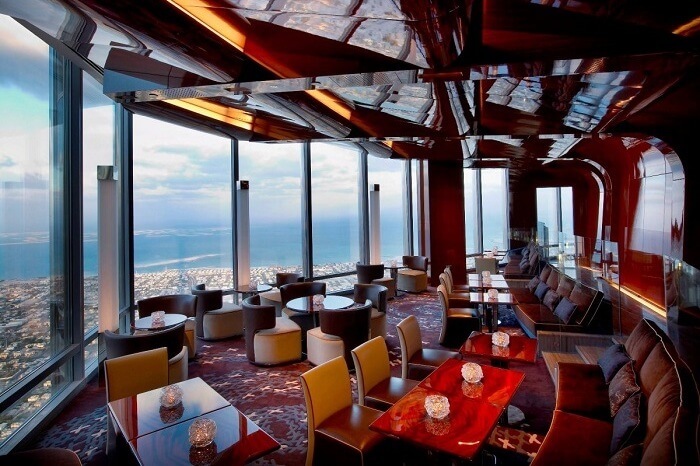 At At.Mosphere, this imagination is personified with a fine dining and one of the most romantic restaurants in Dubai serving scrumptious European cuisine amidst the enthralling views of the city and the ocean. Other section of the floor serves sparking wine and high tea. 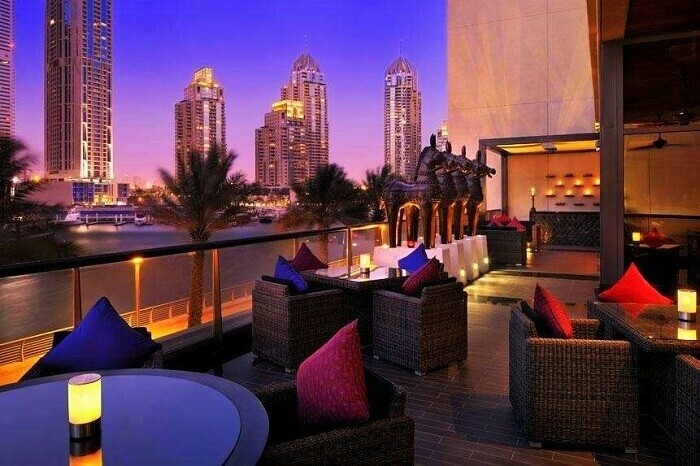 Dine at this opulent restaurant for an unforgettable experience during your trip to Dubai in December. Timings: 12 noon to 3 p.m. and 6:30 p.m. to 2 a.m.
Savour the best Indian food available in the town at the award winning restaurant, Indego by Vineet. If you are hunting for authentic Indian cuisine during winter in Dubai, then stop by this restaurant which serves mouth-watering Indian food with a contemporary touch keeping the traditional taste alive. Looking for authentic Emirati cuisine during winter in Dubai? 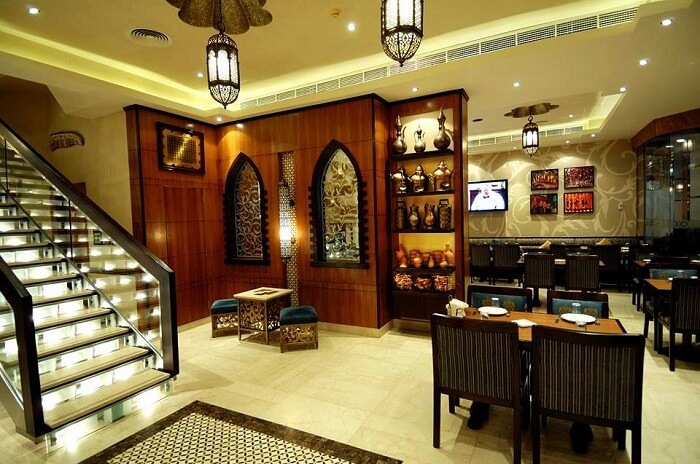 Dine at Al Safadi restaurant, located at 3 prime locations in Dubai, to relish the authentic Emirati flavours at low-on-pocket prices. Timings: 8 a.m. to 1:30 a.m. 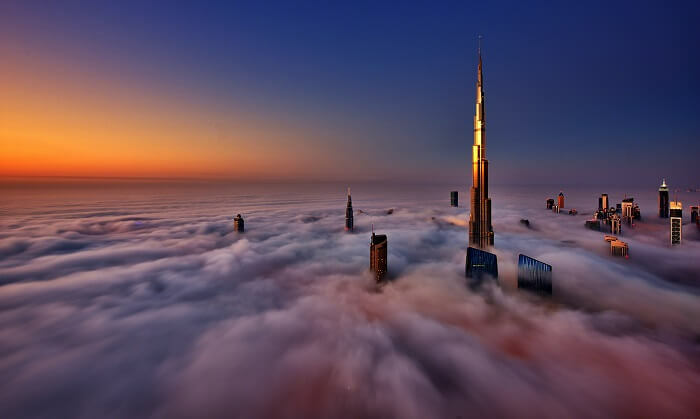 The best and the most economical way to reach Dubai is via air. Dubai International airport is connected to all major airports of other countries. If you are traveling from an Emirate to Dubai then you can travel by Emirates Express bus service which connects Dubai to all other Emirates. Book your air tickets in advance to avoid higher fares as most of the tourists tend to spend their vacation in winter in Dubai. Q: Does Dubai offer visa on arrival? A: Dubai offers visa on arrival to citizens of 33 countries which include India, Australia, USA, China, and 29 others. Q: What is the cost of a 30-day tourist visa for Dubai? A: A 30 day tourist visa costs around 420 USD which includes a deposit fee of 272.5 USD + Taxes. This fee is refunded back to the tourists when they leave the city. Q: What type of clothes should be packed while traveling to Dubai in December? A: Dubai does not experience extreme winters. Even during winters the average minimum temperature does not go below 12°C. Therefore, one may pack light cotton clothes along with a few warm clothes for emergency purposes, for their trip to Dubai in December. 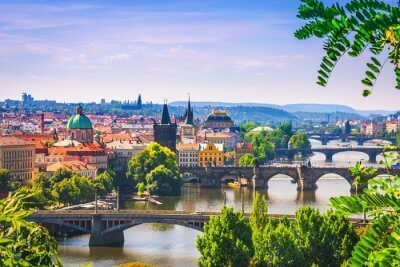 Q: Is it necessary to buy a travel insurance while traveling to Dubai in December? A: It is not necessary to buy a travel insurance for your trip to Dubai in December but it is recommended to buy one for emergency purposes. Q: What is the currency of Dubai? A: The currency of Dubai is known as Arab Emirate Dirham (AED). One AED is equivalent to 17.62 INR and it keeps on changing on a day to day basis. Q: What is the best activity to do in Dubai winter holiday? 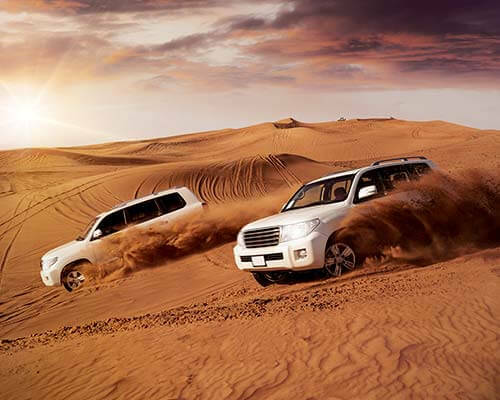 A: Desert Safari is the best activity. Suggested Read: 10 Cruises From Dubai To Explore The Country In The Most Luxurious Style! Imagining yourself at the topmost floor of Burj Khalifa with the world at your feet? Then bring alive this imagination by booking a customizable Dubai tour package with TravelTriangle to spend your winter in Dubai and explore the best of the city with this handy guide!